Dáithí Sproule of Derry, whose first group was the legendary Skara Brae, has lived for many years in Minnesota. He is one of Irish music’s most respected guitar accompanists, and one of the first guitarists to develop DADGAD tuning for Irish music. He is also a fine singer in English and Irish. Dáithí has performed and recorded with two highly influential traditional music trios: Bowhand (with James Kelly and Paddy O’Brien) and Trian (with Liz Carroll and Billy McComiskey), as well as providing accompaniment for recordings by Tommy Peoples, Seamus and Manus McGuire, Liz Carroll, Paddy O’Brien, the Kane Sisters, and others. He has performed around the world with the Irish supergroup Altan, and continues to tour and record with Altan, Randal Bays and James Keane (under the name Fingal), Dermy and Tara Diamond, the Kane Sisters, Liz Carroll, and several Minnesota-based musicians including Laura MacKenzie, Peter Ostroushko, Jode and Kate Dowling and Dean Magraw. Dáithí’s original compositions have been recorded by Skara Brae, the Bothy Band, Altan, Trian, Liz Carroll, Aoife Clancy, Loreena McKennitt, the RTE Concert Orchestra and others. He is known for his innovative arrangements of traditional songs, and in 1995 he released his first solo album, A Heart Made of Glass, with songs in English and Irish. In 2008 he released an instrumental guitar album, The Crow In the Sun, featuring thirteen original compositions. Lost River, Vol. 1. followed in 2011, featuring songs in English and Irish, exquisitely arranged and accompanied on guitar, with a stellar line-up of guests. 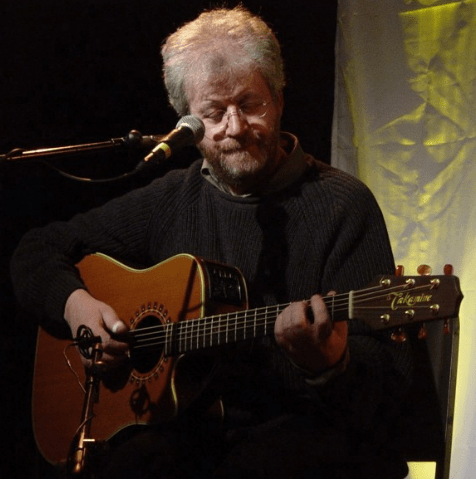 In addition to performing and recording, Dáithí is a sought-after teacher and lecturer in subjects ranging from guitar styles and song accompaniment to Irish traditional music, language and literature. He is a 2009 Bush Artist Fellow, awarded by the Minnesota-based Archibald Bush Foundation.